Sean Penn is heading to the White House. 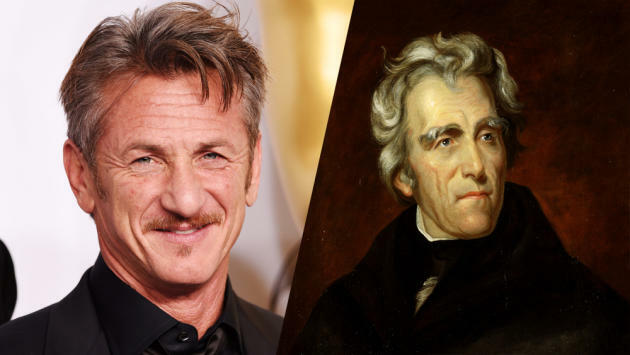 The Oscar winner has signed on to play Andrew Jackson in the HBO and Lionsgate miniseries adaptation of “American Lion: Andrew Jackson in the White House,” the Pulitzer Prize-winning biography of the seventh U.S. president. Orphaned after his mother’s death during the Revolutionary War, Jackson was a self-made man, a western outsider, a violent warrior and a beloved general who became the country’s first “People’s President.” He entered the White House a recent widower in 1829. With the fate of the United States uncertain, the strong-willed and temperamental Jackson fought an intractable Congress and special interests to preserve the Union at all costs — leaving a mixed and deeply controversial legacy. “Narcos” creators Doug Miro and Carlo Bernard will pen the six-hour project, which goes into production in 2016. They and Penn are exec-producing along with Facebook’s head of market development, Matt Jacobson, who brought the project to Lionsgate and HBO. Penn, who holds best actor Oscars for the films “Mystic River” and “Milk,” is also a director, producer and screenwriter. He recently directed “The Last Face,” which stars Charlize Theron and Javier Bardem and is in postproduction. He is the founder and CEO of J/P Haitian Relief Organization. HBO famously received 13 Emmy awards for its “John Adams” miniseries, which starred Paul Giamatti in the adaptation of the David McCullough biography. It is currently filming a version of the Robert Schenkkan play “All the Way,” in which Bryan Cranston returns to his Tony winning-role as Lyndon B. Johnson.